After years of saving and careful planning, seniors finally get to enjoy what they have earned. Managing financial obligations during retirtement can be daunting. After years of saving and careful planning, seniors finally get to enjoy what they have earned. However, financial planning doesn’t stop in these years because important budget adjustments need to be made for issues such as rising health care costs and fixed incomes. Here are four tips (and some advice) to help seniors manage financial obligations during retirement. 1. Find smart ways to utilize a lot of home equity. A home can be the most important financial resource for seniors. 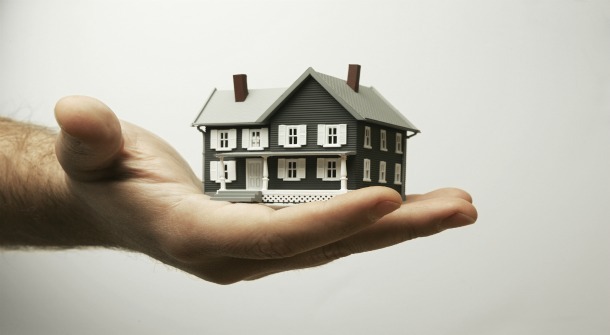 Many people may find they have little cash but own a very valuable home. Evaluate your home’s equity and if rates are low, there can be opportunities to make investments that could earn you more than you would be paying in interest and fees. 2. Continue to budget and plan effectively. Budgeting and planning are still critical functions to maintain the lifestyle you want. Unexpected issues can arise where you may be forced to allocate additional funds that you may not have planned on, such as an immediate health expense. By continuing to plan and save for emergencies or unexpected situations, you will be safe from dramatic changes to your budget. 3. Consider moving into a smaller home to create more cash. It is the easiest advice and often the most effective. If you are struggling with how to juggle a fixed income, this could be a great way to supplement it. Additionally, it could free up money to continue to save or spend as you please. 4. Consider a reverse mortgage to turn home equity into cash. Reverse mortgages allow you to borrow against your home and turn your equity into cash. With this type of mortgage, you receive regular payments from the lender without making loan payments in return. Before deciding on a reverse mortgage, you need to understand that the costs are often high, and frequently the amount you can borrow is significantly lower than your home’s value. Is Now the Time to Refinance? A reverse mortgage is a loan that lets homeowners age 62 and older take money out of their home and never have to move out or worry about paying it back. Think of a reverse mortgage as the mirror image of a traditional mortgage. When you borrow to buy a house, your monthly payments whittle away at your debt and build up your equity over time. With a reverse mortgage, you gradually take that equity out and increase your home's debt. The bank doesn't collect the principal and interest until you or your heirs sell. Although reverse mortgages still represent only a small fraction of home loans, demand for these once obscure financial products has grown exponentially. Last year more than 43,000 homeowners took out a reverse mortgage. In 1990 about 150 did. Today real-estate-rich retirees are taking out reverse mortgages to pump up their income, fund home improvements or refinance debts. Still, these loans are not without serious drawbacks -- complexity and high costs among them. Younger homeowners qualify for smaller loans because a longer life span means more years for interest to accrue -- and more risk that the bank will lose money. For an estimate of what size loan you could qualify for, search our home loan database or ask a question to the community or one of our experts.